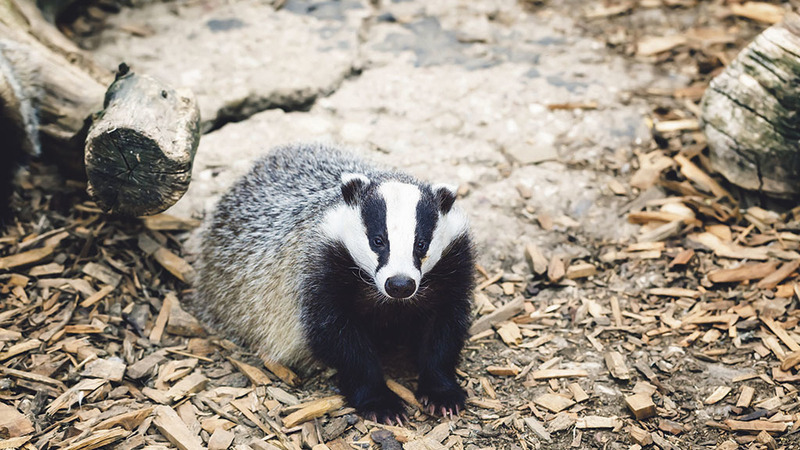 With badger culling now taking place across 21 locations in England and in areas seeing persistent bovine TB breakdowns in Wales, Olivia Midgley assesses what is next for culling in the UK. Despite strong opposition from wildlife groups badger culling continues to form a major part of the UK’s 25 year strategy to tackle bovine TB (bTB). Last year, Defra and Natural England agreed the scheme would be extended to cover 11 new locations in Devon, Wiltshire, Somerset, Dorset and Cheshire. This took the number of areas which have been granted licences to carry out controlled shooting, as well as trapping then despatch of badgers, to 21. The Welsh Government said it had approved three licences for wildlife control in Wales in 2017. As part of its bTB strategy, areas which are persistently affected by TB breakdowns will be considered for licences going forward. After rigorous studies to prove the culls were safe, effective and humane, and with the recent Brunton report showing badger culling was having a positive impact on driving down the incidence of TB in cattle, the Government has been satisfied with the level of scrutiny and resulting outcomes to support the controversial measures. Farmers may have been portrayed as ‘badger haters’ by activists, but NFU Warwickshire county chairman Julian Douthwaite said statements such as this could not be further from the truth. “Speaking as a beef and sheep farmer, I think I can safely say we are an industry of animal lovers. If we were not I do not think we would choose this way of life,” he said. “Farmers are not looking to exterminate badgers, but the population has risen to such a level a reduction is needed in order to have healthy livestock alongside healthy wildlife. “What I want as a farmer is healthy livestock and healthy wildlife.” Mr Douthwaite said he could understand why wildlife charities were concerned, but it was the right decision to take. “We will not solve a problem such as bovine TB without dealing with the wildlife reservoir, so to do the job properly we need to attack the disease on all sides,” he added. “If we do not fight the battle on all fronts we will never win the war.” NFU deputy president Minette Batters agreed restoring ‘a healthy balance to both species’ was paramount. “We are basically culling from Cornwall to Cheshire and now we have to fill in the other areas. “Across the high risk areas where you have infection in both species, it is essential you deal with both species. Then you can properly define the edge, create the firewall area and do your vaccination. “It has to be about dealing with the three areas as a whole, you cannot prioritise any one. Every farmer across the country has to believe in the three areas as being essential to eradication.” Ms Batters said the union was closely monitoring the edge areas. Cheshire started its cull last year. “Cheshire has been an interesting county as it has monitored and evidenced everything,” said Ms Batters. “They have been gamma testing and taken a lot of cattle out, but it has not shown the differences we would like to see. “With the wildlife policy now embedded there, we hope this will drive the changes needed. Badger culls are organised by companies set up by farmers and landowners who fund the scheme by paying an up front fee, based partly on their land size and the number of cattle they keep. The companies, led by a farmer director, cover the cost of the culling operation, with costs of policing and monitoring paid for by Defra. Depending on the density of cattle in an area, farmers pay £8-£10 per animal as a one-off cost and then £4 per hectare which covers the four-year scheme period. Depending on the size of the total area, farmers can contribute upwards of £250,000. Arable farmers who choose to take part in the cull pay £4/ha. Cost has been a factor in some farmers’ lack of support for the cull. Cheshire dairy farmer Ian McGrath, who is also director of his county’s scheme, said: “When you look at the cost of any vaccination, for example leptospirosis, signing up for the cull actually costs less per year than it does to vaccinate against other diseases, which we do as part of our farm animal health plan.” Trained contractors, usually farmers, carry out culling. No expenses are paid. NFU deputy president Minette Batters described culling as a ‘thankless task’. “Those people who have got these companies together have Farmers making the case for culling Turn the page for more on the cull debate… done a phenomenal job. For no money and no reward they have given up months of their lives and with little thanks, all to eradicate this disease,” said Ms Batters. “They have shown they have been safe, effective and humane. He said there was an increasing public acceptance of the fact farmers must fight the battle against bTB on all fronts. “You will always have those who are vehemently opposed to a badger cull but there is an increasing number of the public who are almost ambivalent,” added Mr Douthwaite. Ian McGrath is considered one of the country’s top experts on bovine TB, fighting his own battle with the disease on his farm at Knutsford, Cheshire, since 2002. He regularly meets politicians and industry leaders to advise on policy, and sits on the Animal Health Surveillance Governance Board, guiding the Animal and Plant Health Agency on the surveillance systems in use to find emerging threats. The cull in Cheshire was independently monitored by the University of Nottingham. Post-mortem examinations and a range of new blood tests on a geographical cross section of culled badgers returned a similar infected proportion to previous roadkill badger studies in Cheshire.